I wanted my younger boy to become a household name, but my wife refused to have him christened Cillit Bang. That’s not strictly true, though we did have both our sons baptised in the Church of England, which also married us. All in services conducted by a delightful reverend gentleman using the wonderful language of the Book of Common Prayer. A 1662 BCP christening in 2012. Now you don't see a lot of those about. No small achievement these days, when the Church’s desire to “get with the programme” and be “down with the kids” so often means ditching words as beautiful as anything in Shakespeare in favour of something with all the majesty and mystery of an online shopping list. Going to a parish church these days is a lottery. One may find a group of well-dressed elderly folk mumbling their way through a 1662 Holy Communion, or a church so filled with bells, smells and genuflections that even a Renaissance Pope might wonder whether things were not going slightly over the top. Or one may chance upon a crowd of shining-eyed enthusiasts in leisurewear swaying and clapping to the twanging of guitars. The last is naturally my pet hate. Because what I want above all from the Church of England is that it should not change. 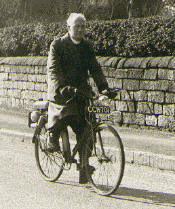 That it should be all Prayer Book and Hymns Ancient and Modern, bicycling vicars wearing proper dog collars (and Panama hats in the summer), and dear old ladies cutting fresh flowers and polishing the brasses. And really I should have no say in any of this because, while I happily recite the creed and tick the “Christian” box on any form that comes my way, I do not in my heart believe the pillars of the faith to be literally true. I would very much like it to be so, and hope my religious convictions may yet strengthen on my deathbed, but right now my belief in the virgin birth and resurrection is not much above par with my confidence in the reality of Santa Claus and the tooth fairy. Which I would very much like to be true, too. I suspect that most of us, in Britain in 2012, are in a similar place with regard not just to the Church of England but to religion in general, though we carefully steer clear of saying so to those faith groups that threaten to kill us if we disagree with them. No such danger with the sweet old CofE, of course, which bears the added burden of being an established, State church. So that Roman Catholic, Jewish, Hindu and atheist commentators all feel entitled to submit their two pennorth on its little local difficulty in the matter of women bishops. Rarely can so many words have been generated on an issue that matters so little to most of us. 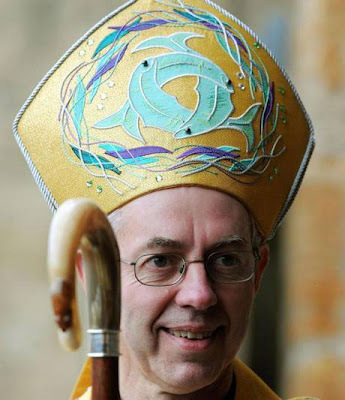 I have seen angry letters to the press condemning “dinosaur” male bishops (who were almost universally in favour of the change) and supposedly intelligent columnists feigning ignorance of the apparently comical concept of “Laity”. Most, including right-on Dave our Prime Minister, seem to regard it as a simple issue of progress and equal opportunities, paying scant regard to the fact that some of the staunchest opponents of female bishops appear to be women. Having looked into the Byzantine structure of the General Synod, and the requirement for a two-thirds majority in all its three houses to pass any substantive change, the puzzle is surely not that women bishops failed to pass over the hurdle but that it has ever managed to agree on anything at all. As one of nature’s conservatives, I feel that it is a model that might usefully be adopted more widely in local and national government. But it surely cannot be right for those of us who do not truly believe to criticise those who do, and who are doing their best to act in accordance with what they imagine to be God’s will. I have no confidence that it will do the slightest bit of good, but I feel that I should now seek out a suitably quiet and happily unmodernised church, and offer up a little prayer for them all.